Ensuring restorative sleep and proper support in a mattress costs quite a lot these days, especially in terms of nerves and time. Every year literally millions of shoppers get bogged down in an attempt to find the right mattress. 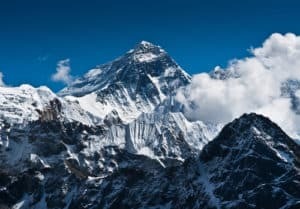 What overwhelms them is that every mattress retail shop is a hive buzzing with unique models promising wonders without a whole lot of proof. Buying a mattress can be such a daunting task because of the name game. Every chain seems to have their own names for models and it’s difficult to compare them because you can’t really open them up and have a look inside. Even if you could, you’d find foam, fiber and fill, maybe coils – but you still couldn’t compare the quality of those. Sounds like you need a battery of chemical tests done in every store to be able to make an informed decision. On top of the name problem, there’s the price. 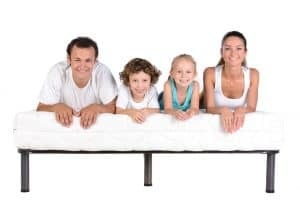 Shoppers regularly report they could find a mattress in one place for around $1,200 and a pretty similar model (with a different name, of course) for less than $700 in another. How is that possible? Markups for mattresses quite often amount to unbelievable 100 or 200 percent, which makes it possible for retailers to “cut prices” in order to seal the sale. Nothing in the furniture retail industry is as profitable as selling mattresses. Mattresses are the golden goose the industry wants to protect by confusion and gobbledygook. All the multi-word names are designed to obscure the real value of the product you’re considering buying, so that they can tag it with a hefty price. They will often hike the price in the beginning and then slash it in half or more to cut great deals for customers. This way, they constantly win and make money scamming people who believe it’s their lucky day. Want to make sure you don’t fall for one of these tricks? 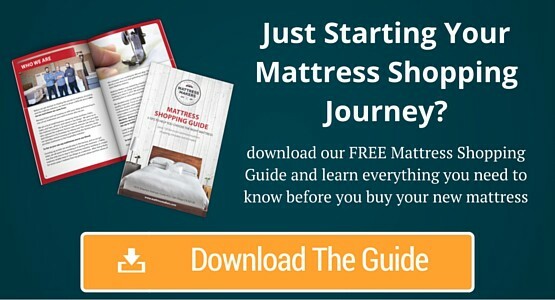 Download our free mattress shopping guide and become a mattress shopping expert. It’s not just the mattresses now. 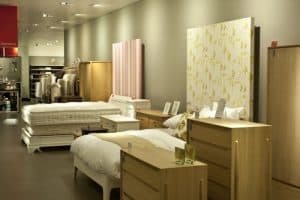 It seems the whole retail industry has learned something from selling mattresses, so now big retail chains require manufacturers to make minimal changes to products and add recognizable accessories to make the item, such as TV or clothes, appear original and unique. And they can do this, because there are no regulations restricting those practices. What can you do about this? The first tip is to shop around, but take nothing the retailers tell you for granted. Instead, take everything with a pinch of salt. Next, look for certificates. If the salesperson is touting the medical benefits or unique manufacture features, ask them for proof. Certificates are the minimum justification for claiming wonders. Check for reviews of the model, manufacturer and retailer online. You cannot depend on reviews for 100 percent accurate and true information, but you can get a feeling of how the manufacturer and/ or retailer do their business. Explore ways of buying directly form the manufacturer. This isn’t a problem nowadays and most manufacturers have showrooms, so it’s almost the same like looking around a furniture shop (just without the exorbitant mark-up). Finally, listen to your gut feeling. Feel free to ask anything that comes to your mind – you might want to make a list before going shopping for the perfect mattress. Pay attention to how the retailer/ manufacturer answers your questions. Are they irritated by your inquisitiveness or are they willing to answer all your questions in a straightforward manner? 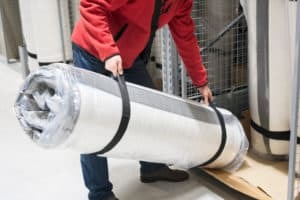 All of this, combined with the measures mentioned before, should make it somewhat easier to get your bearings in the maize of mattress hunting.